Rebecca + Craig were married on July 2nd, 2017 at le Windsor Ballroom, one of our very favourite venues to work in. It is beautiful, the staff are amazing. It feels like home. Outside of the Windsor, was a very different story this special day. It was challenging to say the least. If you are looking for your Montreal wedding photographer, you really want to make sure the team is comfortable with getting around a city full of road closures and traffic obstacles. 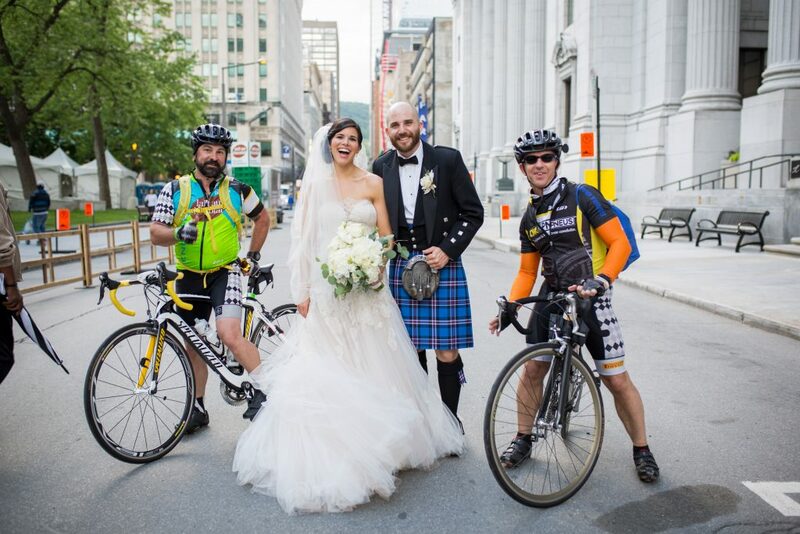 On this day, more than 5000 cyclists took part in the race for Grand Défi Pierre Lavoie, literally with the starting point right outside the doors of the Windsor. We were ready! 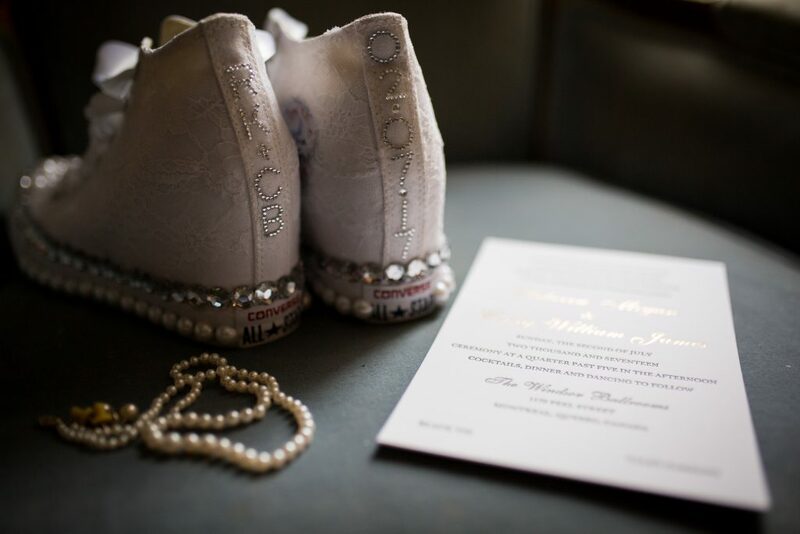 We asked Rebecca and Craig to tell us about their special wedding day in their own words. Enjoy! xo. We were on a cruise with my family. On one of our last nights, Craig asked me to join him outside, on our balcony. It was just the two of us, Craig told me how special I am to him and how much he loved me. He got down on one knee and popped the question! It was absolutely perfect. When we were at the airport, before leaving on the trip, Craig actually convinced me to go through customs separately on the way to Florida. This way, he could explain to the customs officers, without me knowing, why he was carrying a ring with him! What was the vision for the day? 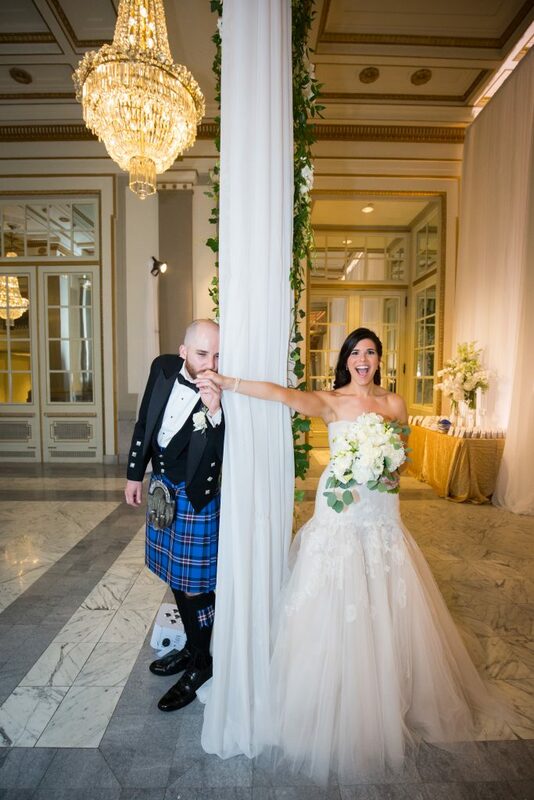 Craig and I wanted to make sure that both of our traditions and customs from each of our backgrounds were beautifully portrayed at our wedding. 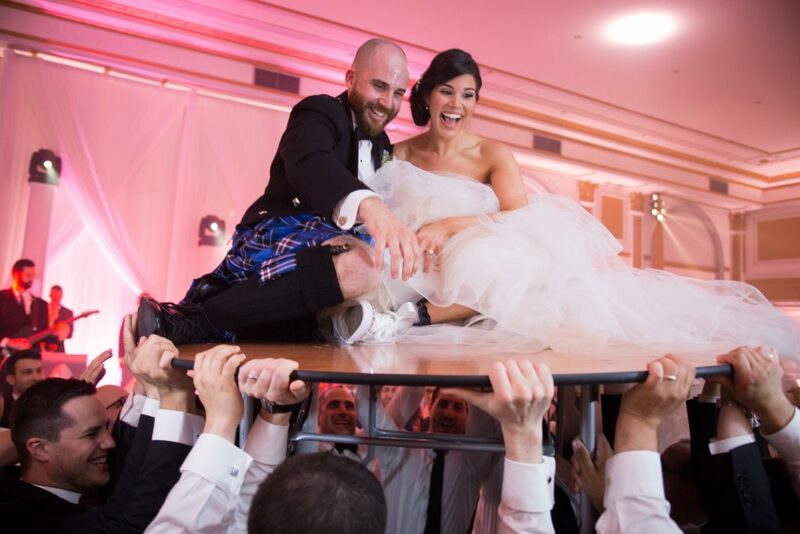 Jewish traditions were implemented throughout the ceremony and with the dancing of the hora, while Craig and his family wore traditional Scottish attire and there was a whole section of the dessert table dedicated to Scottish desserts. In terms of décor, I loved the idea of using creams, gold, greenery and candles to decorate the space. 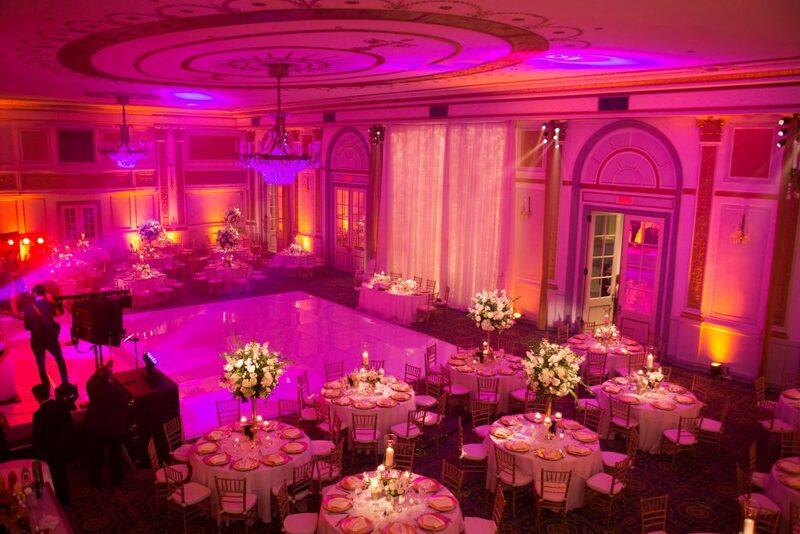 It gave the venue a soft and summery look, which was perfect for the time of year. Our vision really did come true. Craig and I being surrounded by our loved ones, many who had traveled for the special occasion, to celebrate our marriage. Elie Bedran is absolutely exceptional. It was so fun to work with him and he made everything so easy! His passion to capture all the special moments throughout this day, from beginning to end, is truly reflected in his work. The most important thing for us was choosing a venue, which would help direct us in picking a date for the wedding. Once that was done, we selected all of our vendors and we were so lucky! From then on, it was a ton of meetings, e-mails, phone calls and more e-mails in order to discuss options, make decisions and solidify plans. Every single detail takes much consideration and thought before a conclusion could be reached! 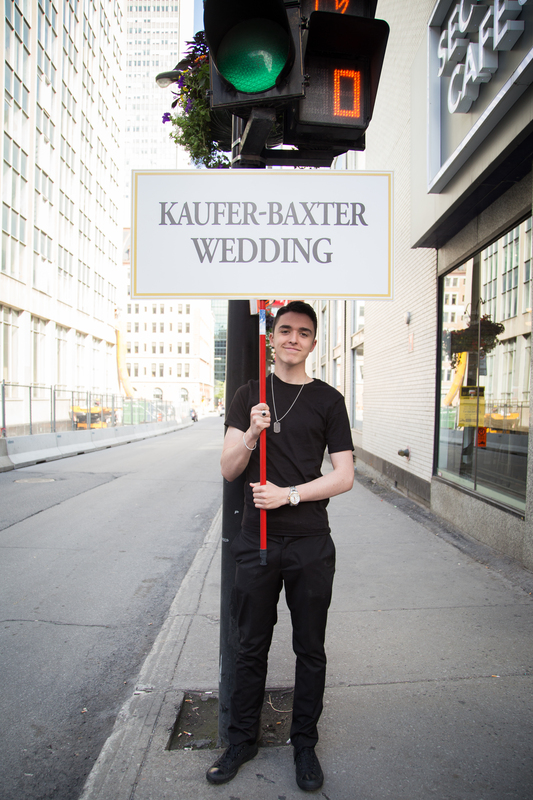 With the wedding being held in Montreal and Craig and I living outside of Toronto, I (as well as Craig at times) had to frequently travel back and forth to plan for the big day. 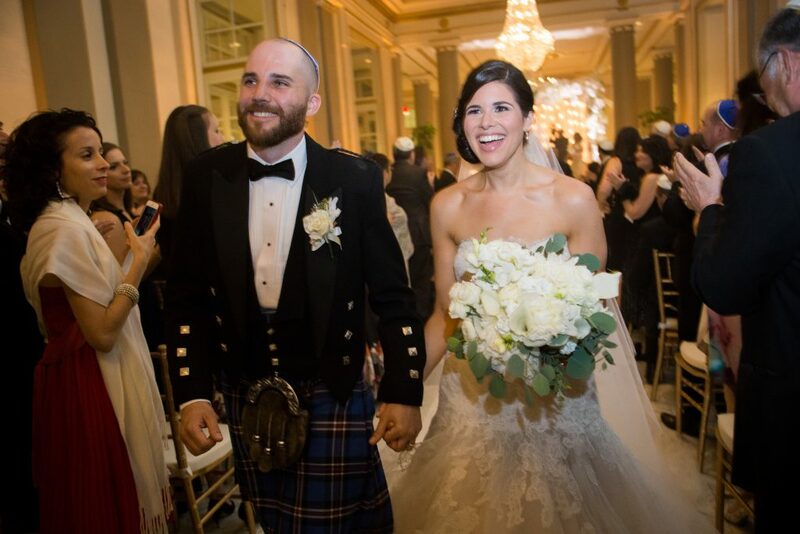 It was so special to me to see Craig and his family wearing kilts and tradition Scottish clothing. This was actually a surprise that both our families kept from me for over a year! 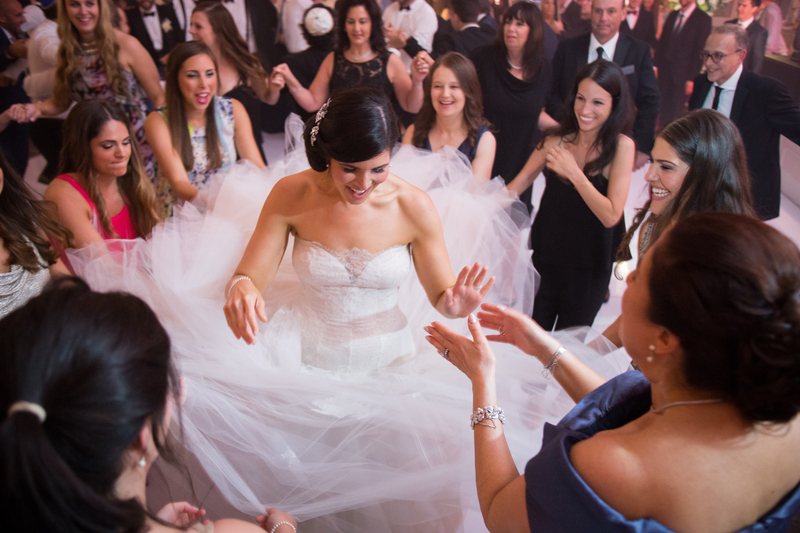 Craig’s memorable moment was seeing me for the first time in my wedding dress. As I walked down the aisle with my parents, I definitely noticed that it brought a tear to his eye. 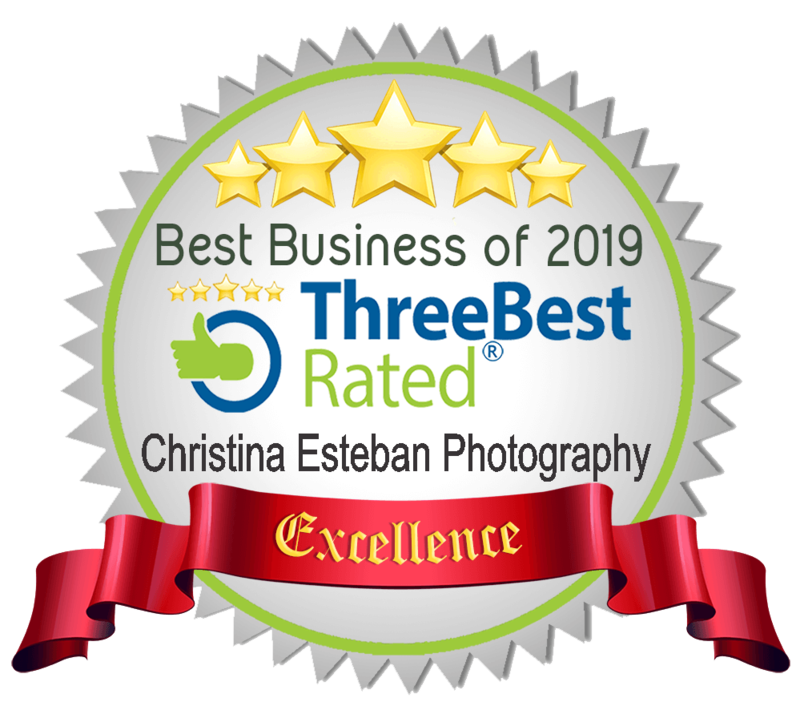 We also both absolutely loved taking our “before the first look” photos with Christina. It felt so surreal, holding each other’s hand while standing on either side of a curtain or a door. It was certainly an emotional experience! Where did you get married? Where was the reception? Where is your dress from? The Groom’s outfit, Bridal party outfits…details please! 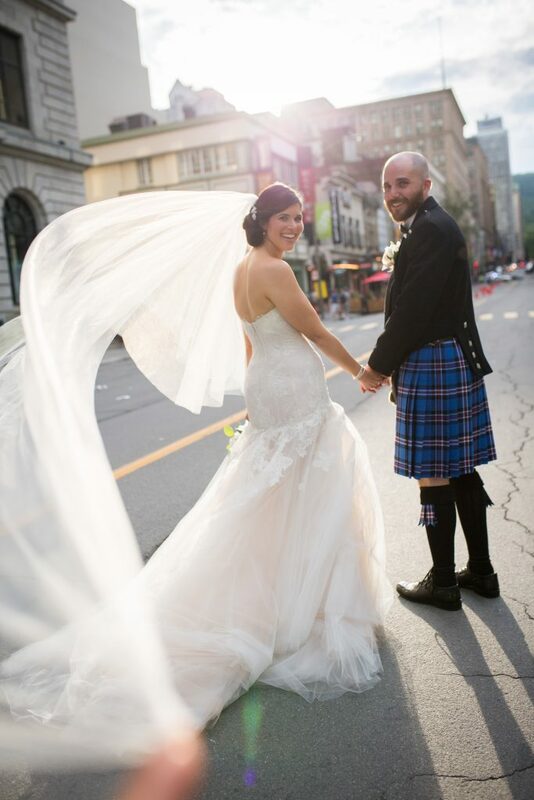 I got my Monique Lhuillier dress at White in Montreal. The experience was amazing at the store and the staff made everything so seamless. I felt so incredible and stunning in that lace and tulle dress. I also had a long veil ,which I wore during the ceremony and when some of the photos were being taken. Lastly, my sister had white wedge sneakers specially decorated for me with lace, ribbon, pearls and sequins. 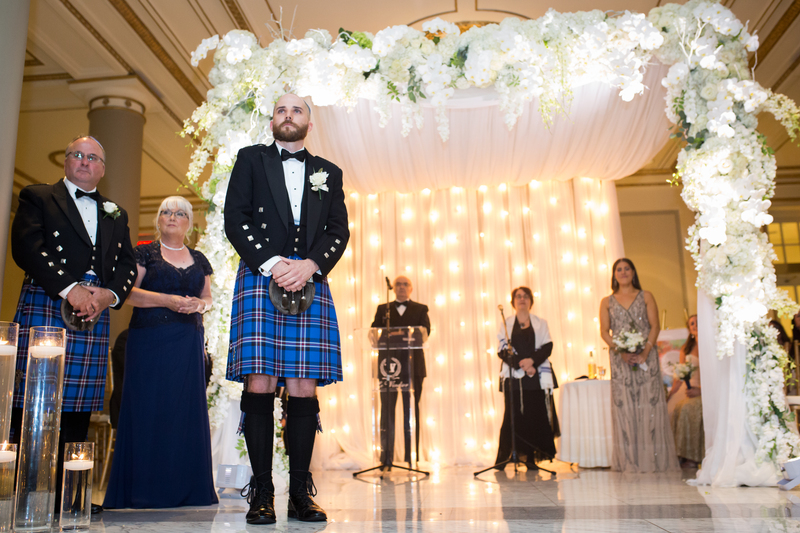 Craig wore a Glasgow Rangers tartan kilt (which is Craig’s favourite soccer team from Scotland), a black Prince Charlie style jacket, a black sporran, a sgian-dubh, a white shirt, and a black bow tie. All of which he got from William Glen & Son located in Toronto. 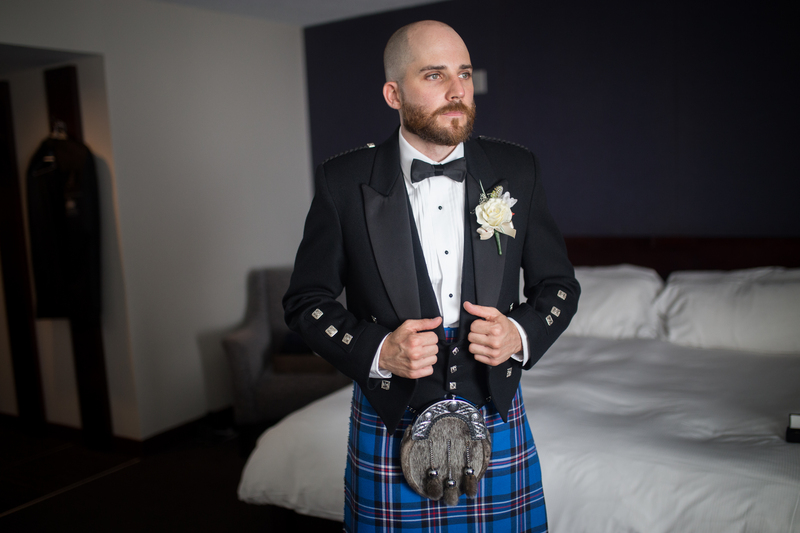 The groomsmen from Canada wore a black tuxedo, white shirt, black bow tie and a tartan pocket square. While Craig’s cousins from Scotland, complemented Craig by wearing the same attire as him. 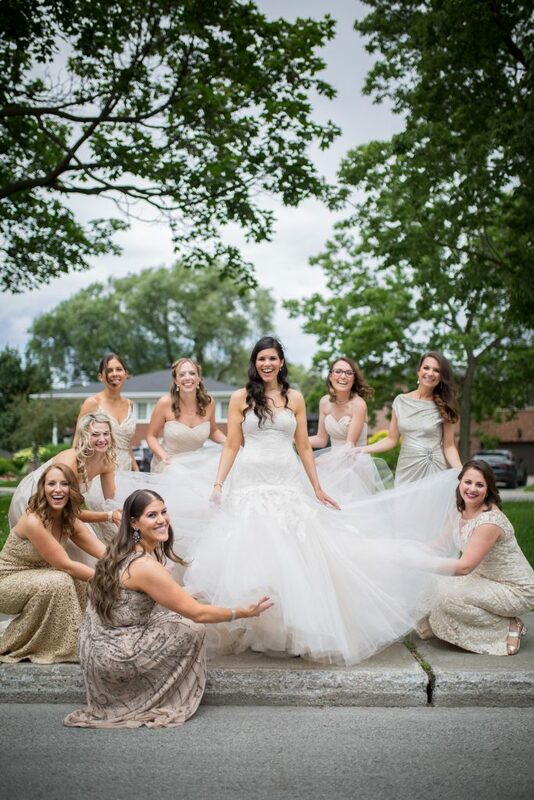 The bridesmaids wore different dresses from one another. All I asked is that the dresses be floor length and within the same color palette and from there, I had them choose, what they wanted to wear. The colors ranged from cream to champagne to gold. I liked the idea of different styles and textures for all the beautiful ladies! Amy Nunes was our wedding planner who works with the venue. There are no words to describe how incredible she is. She went above and beyond to be available to answer questions and to ensure that everything met mine and Craig’s expectations. Our other wedding planner was actually my mother. She is most definitely one-of-a-kind! 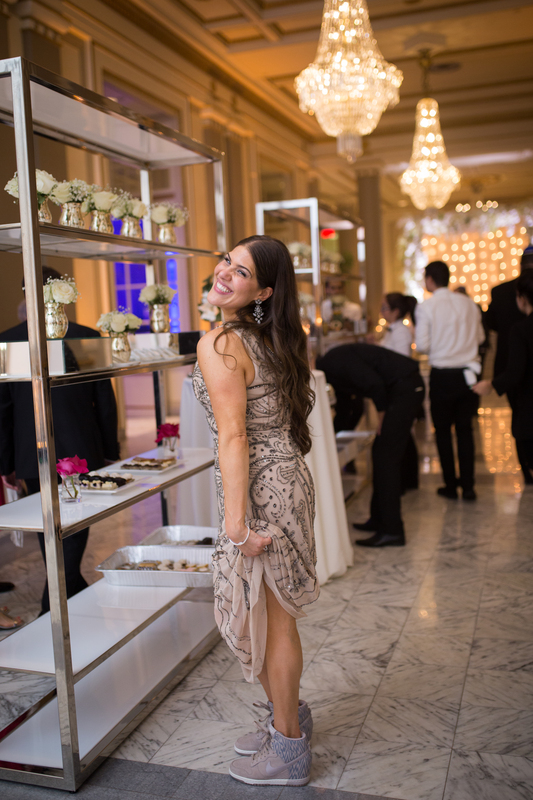 Her attention to detail and dedication to making the day so special was outstanding. We are very blessed to have had both of them working together—what a remarkable team! Amy’s brother helped direct guests to get to the Windsor. Thousands of cyclists closed the streets all around the venue. DJ or Band or both? Who did you go with? The Ultimate Show Band was our band and Phil Frai was our DJ. The whole team was very professional and it was so easy to work together. Many of our guests, both out-of-towners and Montrealers alike, told us how much they enjoyed it! Where are the flowers from? Paul Ahkion from Fleurs des Jardins. Paul is a true artist! I showed him only a couple of photos of things I liked and right away he knew exactly what we wanted. His work is absolutely stunning and I still think about that flawless Chuppah as well as all the other floral arrangements. He worked tirelessly to bring our vision to life and for that Craig and I are truly grateful. Who designed your wedding cake? Or sweet table? Beso designed both our wedding cake and sweet table. 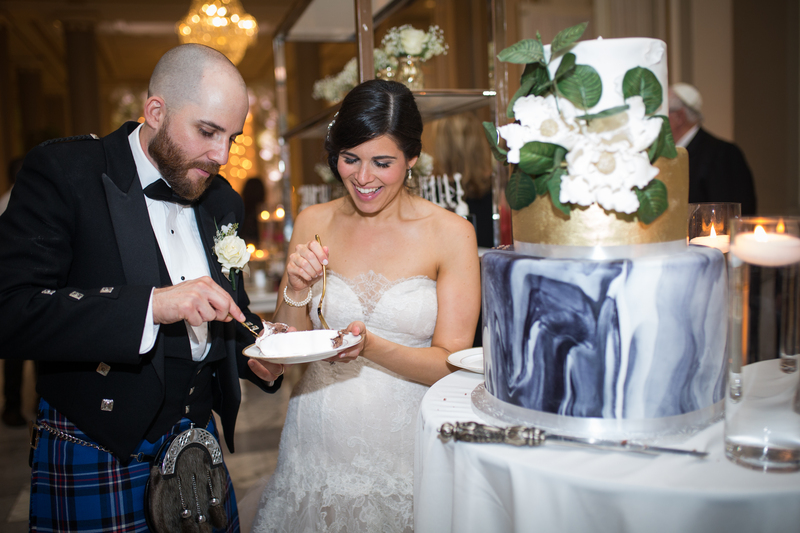 The cake was a marble and gold design. The gold matched our colour scheme and the marble complimented our signage and the beautiful floor in the Peacock Alley of the Windsor (where the desserts were served). 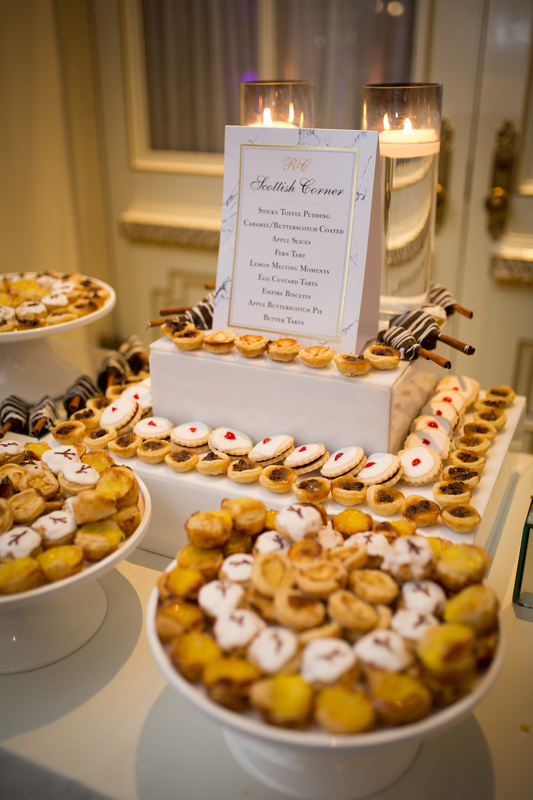 There was so much dessert that I think we would call it a dessert room rather than dessert table! The “Scottish Corner” was spectacular and truly reflected Craig’s family background. Alan and his team worked so hard to perfect all the recipes and make this unique dessert section so memorable. Did you go on honeymoon? 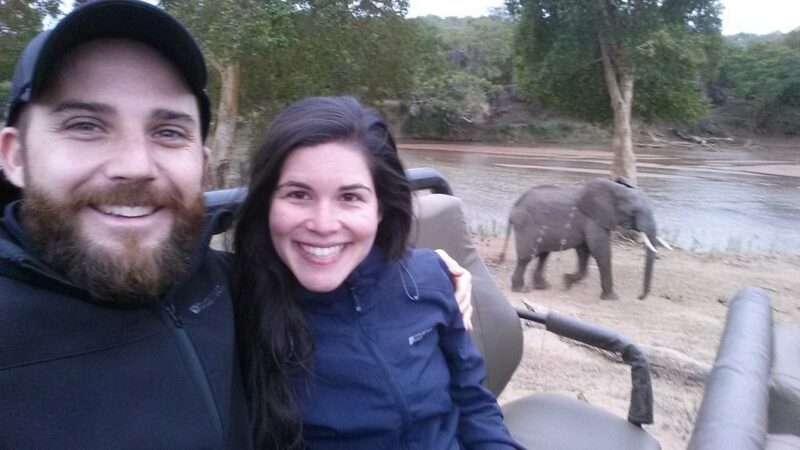 Craig and I went on honeymoon in South Africa. The trip was beyond memorable! Craig was actually born outside of Johannesburg and it was his first time back in the country in twenty years. It was incredible to meet some of his family friends that I have heard so much about over the years. This vacation was a true adventure from off road safari drives, shark cage diving and exploring numerous cities. 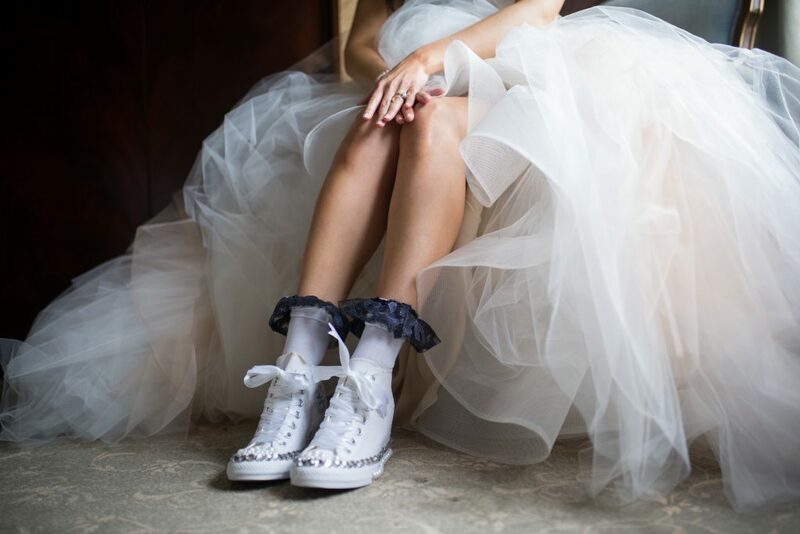 Planning a wedding definitely has both its exciting and stressful moments. All we could say is on the special day it is so important to take a step back from it all, look around and truly take in everything happening around you. 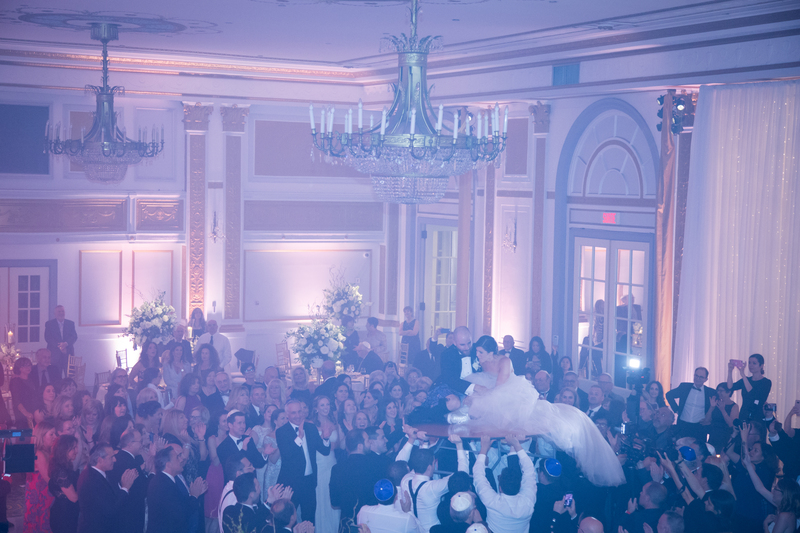 Focus on the beautiful décor and all the wonderful people who are there to celebrate you both. Enjoy the magical day to its fullest!